Randy W. Powers, Jr. • Little, Gilman-Tepper & Batley, P.A. Randy Powers practices in all aspects of family law, divorce, custody, child support, kinship-guardianship, and divorce modification. Randy is an N.M. Board Certified Family Law Specialist, who participates in settlement facilitations, arbitrations, and is a court appointed guardian ad litem. His practice includes many cases with different levels of legal involvement, from simple legal issues to be resolved, to the more complex and difficult family law matters. Randy has lived in Albuquerque, New Mexico since he was a small child. Randy graduated from the University of New Mexico, where he received his Bachelor’s Degree in Business Administration, with a minor in Economics. While attending the University of New Mexico, Randy not only was the recipient of the Ben L. Robert’s Academic Scholarship, he was also on both the Dean’s List and the Honor Roll. Upon graduating from the University of New Mexico, he attended the Arizona Summit Law School where he received his Juris Doctorate Degree. During his education at the Arizona Summit Law School, Randy received an Academic Merit Scholarship. He was also the recipient of CALI Awards in the areas of Family Law and Trial Practice, which is given to the highest scoring student in each law school class at many law schools. Randy also has served as an Honor Court Justice for law school. While attending law school, he completed an externship with the Honorable Elizabeth Whitefield in the Second Judicial District Court. Randy also worked as a law clerk for Nirenstein, Garnice, Soderquiest, PLLC, where the focus was on family law, guardianship, and conservatorship issues. Known for his outstanding professionalism, Randy has volunteered his time by providing constitutional speeches to groups such as The Boy Scouts of America, and has participated in the We the People Constitutional Law Challenge, a landmark program engaging middle and high school students to better understand the institutions of democracy. Randy has also volunteered at the Ronald McDonald House Charity, and worked on the All Faiths Receiving Home Donor Retention Marketing Research Project. Additionally, Randy has had membership in the American Marketing Association, the Family Law Club, the Federalist Society, and Law Paws – an animal advocacy group. He has served as a Pro Bono Attorney Facilitator for the Second Judicial District Court. Randy is currently in good standing with the State Bar of New Mexico Family Law Section and is a member of the Albuquerque Bar Association. “Mr. Powers knowledge, professionalism, presence, and confidence in the courtroom was exceptional. He had complete control over the hearing on my matter. I am so very grateful for all of the time and effort Mr. Powers and the staff went through in order to help us prepare for this case. Thank you for fighting so hard for my girls.” – K.P. Mr. Powers did an excellent job for me and I would highly recommend him. Thanks again for helping us to get our grandson back. I will never forget you. Randy-I'm appreciative of your assistance in helping justice to prevail in my case. I have known Sandra Little for many years. She has quite a prestigious reputation among divorce attorneys, so when I was faced with the shock of divorce I knew where to go. Randy Powers is a rising star! The rest of the team functioned like a “well oiled” machine, so very efficient. They made one of the hardest times of my life bearable. I will not forget the trust I had in Sandra during facilitation. I knew she had my best interest at heart, so I was not afraid. 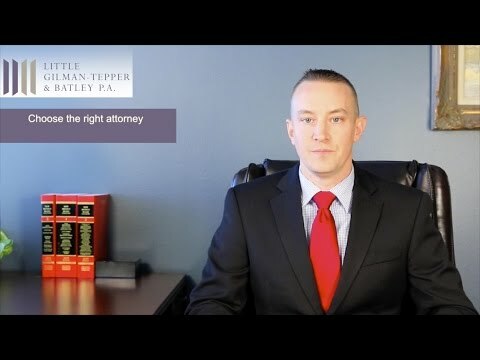 I would recommend Little, Gillman- Tepper and Batley PA to anyone facing the difficulty of divorce. “Last week’s performance by Mr. Powers in court was exemplary, and I couldn’t be more pleased with his role in this case or the outcome. In contrast to other attorneys who preceded him, Mr. Powers’ comportment was the model against which standards of courtroom decorum should be judged. He prepared well for our appearance and I couldn’t help but notice that the Judge was pleased when he produced immediately all the information that she requested. Unlike others who did not adhere to courtroom etiquette, or who failed to produce documents or assurances that she solicited, Mr. Powers anticipated the Judge’s requirements, produced the requested items, and always asked her permission to approach before handing documents to her. And before responding verbally, he always came to his feet. I was impressed and followed suit. Randy’s pre-appearance pep talk stood me in good stead. “Pay attention to the question”. “Respond only to what is asked.” “Don’t speak for more than 10 seconds.” “Don’t lie.” “Address the Judge as Your Honor or ma’am.” Rather than engage in idle chat en route to the courthouse, Mr. Powers and I went over his do’s and don'ts again. Time well spent. I must admit apprehension when told that he would handle the presentation in court. It was clear, however, that his pleasant tone but business-like demeanor was the perfect mix of decorum and preparedness that I think helped the Judge to rule favorably and quickly. Thanks very much for tucking me safely under his more than capable wing.” B.C. Mr. Powers is one of the most amazing, caring and thoughtful lawyers I have ever met. Not only did he help me with my case but he also gave me and my family constant reassurance that he would do his best as we were going through a tough time. Mr. Powers worked vigorously on my case and did all that he could to take care of my legal needs. How to work with your attorney.